(CNS): Chris Saunders, who failed to win a seat when he ran on the UDP ticket in 2013, is planning to launch his bid for Bodden Town West by sending a letter to every one of the 1,453 voters in the constituency, offering himself as an independent. With Saunders running in a loose alliance with Mario Rankin, who is contesting the Newlands seat in the adjacent district, the Bodden Town races are beginning to heat up even before the candidates from the ruling PPM have been revealed in an area that tended to favour them in the past. Saunders is the third candidate to opt for BTW and the second independent on the ticket so far, but he may not be the last. Stafford Berry has declared his intentions to run with Saunders’ former party leader, McKeeva Bush, who now heads the Cayman Democratic Party, the new name for the UDP. He will also be up against former UDP MLA and health minister Gilbert McLean, who lost his seat in 2009 after contesting that election as an independent. Gilbert is also running in an alliance with Alva Suckoo, who is contesting the neighbouring Newlands constituency. Suckoo and McLean may be joining forces with other independents, including the incumbents Arden McLean (East End) and Ezzard Miller (North Side). Winston Connolly could be in that group as well, though he has still not declared where, or even if, he will run to keep his seat in the LA. Saunders is likely to have a tough fight on his hands once the full line-up is revealed for what will be a competitive race. 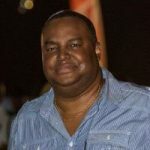 Collecting 289 votes in the old Bodden Town West polling station area in 2013 when he was running on the UDP platform, Saunders took more than 30% of the vote in the constituency overall ,coming in seventh from a field of 13 candidates. The western area of Bodden Town was dominated in 2013 by veteran MLA Anthony Eden, who has not yet said if he will be running in the 2017 General Election. Community Affairs Minister Osbourne Bodden could be the PPM’s candidate for that seat as he also did well, collecting 466 votes from stations in that area. This guy is almost as big of a waste of time as Mario Rankin, just as big a waste (literally and figuratively) as Matthew Leslie. I would vote for Chris! he is sincere and wants change…. just he is not running in my area. CDP has its own candidate for BTW and it isn’t Chris Saunders!! The real question is what happens the day after elections!! When the horse trading starts where will the “Independents” fall? Alva has proven he is independent and will stand up but people like Chris who was tight with Big Mac and let’s nor forget Mario was a big UDP CDP man also. When elections done if he wins he goes UDP or CDP or whatever they want to call themselves. The skinny is this. If you want CHANGE, real CHANGE UDP, CDP or PPM is NOT the answer BUT be very very careful here. There is a crazy order here. If you want change or good governance it’s Independents, then PPM then CDP. Remember the days of too much red tape McKeeva? The guy who wants to push everything through without any checks and balances, who was always being beaten up by Auditor General, who wanted the AG replaced?? Let’s not forget Mr. Crazy himself who wanted a Oil Refinery in the North Sound or the big Ship thing in East End. When we vote we run some serious risk this year. We can run from PPM and think we running Independent and run right into CDP. Please people let’s not be stupid. Honestly as much as I think PPM is flawed they are MILES and MILES ahead of CDP in transparency and good governance. Again I say to you do not forget Stan Thomas and the mysterious payments for work done that we still have no clue about. This matter has disappeared from light but not forgotten. Was it criminal? We have no clue. Let’s not forget First Cayman Bank. Let’s not forget the abuse of government credit cards although possibly paid back it was not good practice. Do not forget the China Dock proposal where we would have given up our country. Do not forget how he treated England and how he put us on edge with the UK. We in Cayman have very short memories. CDP is not the answer to none of our problems. They are for the most part OUR PROBLEM!! So I leave you with this…. 1) PPM – Makes mistakes. By far and away not perfect. But fairly transparent. 2) CDP – Makes very suspect decisions XXXXX. For all intense purposes you will get ONE MAN’s decisions. 3) Independents – These are what I term TRUE independents who’s desire is to make Cayman better. A bit naive and a bit young to politics but hope is there. 4) Shadow Independents – These are CDP or PPM people in disguise as Independents who’s aim is to either win and switch or simply split the vote so that another “PPM” or “CDP” candidate can get in. This election more than any election we need to THINK. We watch the US Elections and all the crazy going on there let’s make sure we do the right thing for our country and do not put in crazy again. What we need is new ideas. Ways to lower the cost of living. Ways to get our hardworking and educated Caymanians into positions they deserve. Ways to educate our youth so they can compete in the global market place. Ways to get our TRUE unemployed back to work. Ways to cut down on crime and return Cayman to our better days. Ways to grow our country dynamically so that we can face any new adversity head on and thrive. We need people who are ready to THINK, WORK and LIVE for their country. People who’s goal is not to line their pockets but help line their people’s pockets. I leave you with one word. THINK. A True Caymanian – For love of OUR COUNTRY!!! Please name any candidate you consider ‘true’ independent, who never wanted to be part of party but were rejected (so will easily join with one if elected), who isn’t being ‘sponsored’ by small group and we know how the C4C candidates turned out and they looked hopeful in 2013. So please name any true independent who has declared. There are no true independents. They are all lying straight to the faces of the people of this country. There will be a few. We haven’t seen most of the candidates as yet but I am sure there will be some who have no allegiances. The point I was making to the truly naive out there is when they hear people like Chris and Mario come out saying I am “Independent” that they need know they are in NO WAY Independent. I would say now that Winston is now Independent. He may share values with the back bench but he remains mostly his own man. You can affiliate with others and remain independent. The problem is when you become PPM or CDP you must as part of the package sell your soul to its leader. So when I speak of True Independent that is what I speak of. People who will in all honesty make up their own minds and vote accordingly. They won’t “tow the party line”. Anthony Eden is another although I understand he will not be running. How is Alba change? I understand he started with UDP or CDP or whatever they are. Chris Saunders and Moxam I consider to be very intelligent men who are both capable of giving so much to our country as MLA representatives. I watched both of them on TV several times with Tammi Sulliman and was very impressed with their knowledge and ideas. However, I cannot understand why they would link themselves to someone like Mario Rankine, who comes to the table dragging so much baggage behind ?? When it comes to party politics it’s sadly not about intelligence, well actually it is. The fact that they threw in their towel with CDP means they have no intelligence to speak of because all they will be doing is saying Yes Mr. Bush. I agree Mr. Bush. Whatever you say Mr. Bush. And for you thinking it changes on the other side it does not. It’s Yes Mr. McLaughlin. In this election I will be voting for change. Anything is better than this bunch of do-nothing-PPM jokers that we have now. Chris you have my vote! Is that change? Is he REALLY independent? Independent my foot. Chris is as slick as oil. Anyone declared as yet for Booby Cay? Think that’s where I will be voting!!! I am right behind you. I bringing some hammocks!! Peel back the wrapper and you will see UDP or CDP all the way. It is possible he will fool some people but I believe the majority will not be fooled. Another McKeevarite in disguise. Save your pennies by not cluttering up my mailbox with your junk. There are a bunch of crooks starting to surface in these elections. Some say they are an alliance, some a party, some a coalition. A fool by any other name is still a fool. Most of these so called independents are just getting in this game for self enrichment. Well, why don’t you run then since you have such honorable intentions?? Yeah, thought so! Good for you Chris, I have listened to your ideas throughout the last 3 years and you can bet that I will be voting for you! This guy is all smoke and mirrors – can anyone tell me about any work he has actually done in the community? Has anyone seen him in BT with any regularity? No. We are fed up of charistmatic talkers who don’t actually do anything. He is still UDP, don’t let him fool you. Although aligning with Mario is probably even more detrimental. Mario is the worst candidate running in this election, and in general, in vague language, he is XXXX. Yes! Watch out for these guys! Was not Mario UDP/CDP Campaign chairman or something or other in BT? Plus he is suspect also. Time for some new blood. Out with the current vampires. Anthony/McKeewa/Kurt, it’s time to retire from politics. Alden, don’t even bother. Chris for Premier too!! Naive. Chris = McKeeva ….. I agree. If anyone cannot see this, they are willingly blind. That, in my opinion is the worst kind of blindness. Who does he think he is fooling? He is McKeeva’s lackey, make no mistake. This is all a tactic of misdirection because we all know what they are about. If people vote for him, then they deserve every single day of what he dishes out. CAYMANIAN’S, if you vote for him and those he supporting….dog eat your suppa!!!!! Chris I wish you every success, with your stand for Caymanians your kind of politician is what Cayman need now. We need people that will make Caymanians FIRST. YOU HAVE MY VOTE FOR THE FUTURE OF MY CHILDREN AND GRAND. Despite his prior political affiliations with Mac, deep down I know Saunders could make a decent representative of the people. You are absolutely correct and for these very reasons, he has my vote. To the comment above about not seeing him in the community…now which politician have you seen out in the community acting like a regular folk on chicken feed money like the majority of us?? If he finds enough fools to put him in not one of his ideas makes it to fruition because Big Mac will always rule the roost. Chris will become a ceremonial yes man.